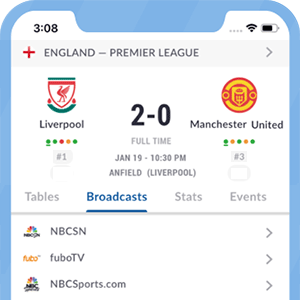 There are currently no upcoming soccer listings scheduled on MSG GO. Are we missing any soccer listings for MSG GO? If so, please let us know. This service can be accessed by users that have this channel in their respective pay-TV packages in the United States. Those users interested in accesing this service can download the app MSG GO on their phones or mobile devices with either Android or iOS systems. Programming is subject to the user's region, as some shows are geo-restricted.